On Wednesday I visited the maternity day unit for the first time. Thanks to the first time ever little Missy decided she wasn’t going to be very active. She instead was going to be quiet. Super quiet. Which for someone like me who has had dancing baby number one, it didn’t sit well and I panicked no end about it. Sam said it’s probably nothing to worry about but I don’t know how some mum’s who have quiet bumps do it. I’ve felt her move and kick for ages, being active far more than probably what’s classified as normal but that night did indeed scare me. She wasn’t her usual self and as any mother/mother-to-be knows, your instinct kicks in and if you’re unsure or worried, it’s best to get it checked out. She wasn’t a mover, at all. None of her usual warm up before the big dance finale, none of her usual dramatics in the early hours when I have to pop to the bathroom on numerous occasions and none of her usual hour playtime after Sam leaves for work. Just a small punch and that was it. I tried the whole sugar thing but nothing, she refused to budge which scared me. Thankfully us pregnant women have an advantage. Being paranoid apparently is totally normal so if something doesn’t feel right, get in touch with your midwife, because nothing could be something and it’s better to know for sure rather than leave it and regret it later. 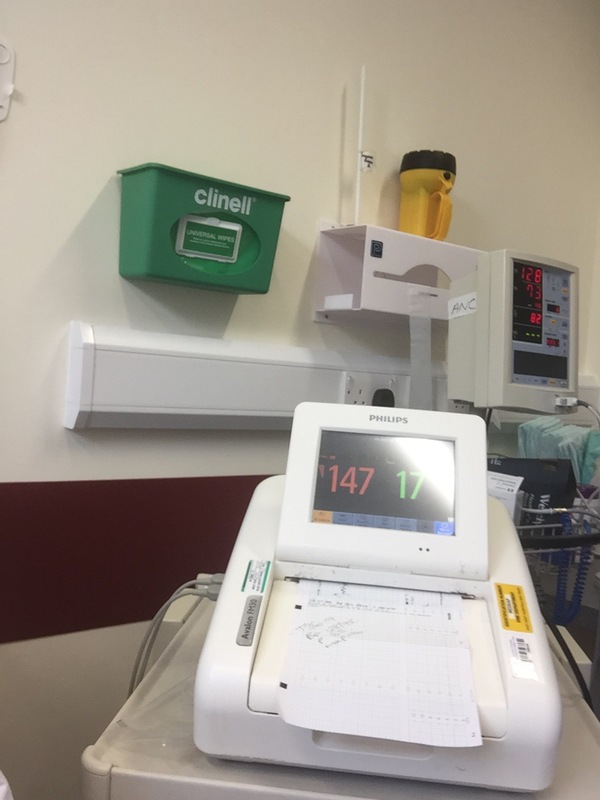 After my panicked phonecall to my midwife and a chat with the midwife day unit, I hopped on a bus and headed to Margate’s QEQM hospital hoping missy would move a little just to assure me and she wouldn’t. 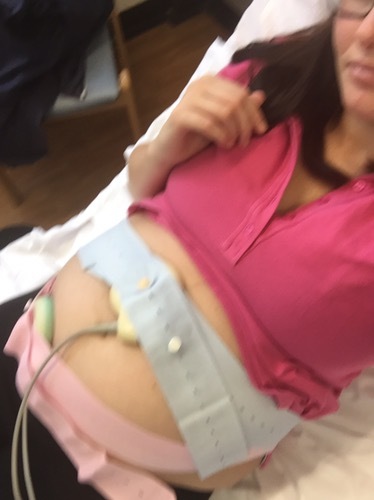 After being strapped to a monitor, with things strapped to my tummy, my blood pressure checked, temperature checked, her heartbeat monitored as well as her movements, it turns out I had absolutely nothing to worry about. As much as she loves being a performer and dances her disco beat, she does also like to be lazy and not move. And out of all those months that she’s been number one dancer, that night she just decided she didn’t want to. Since that visit, she’s been performing to the best of her ability for all to see. But if you’re worried even for a little moment or unsure, it’s better to be reassured rather than leave it and it’s something else.